African National Congress (ANC) member of Parliament (MP) Thoko Didiza was on Tuesday elected as chairperson of the ad hoc committee established to amend section 25 of the Constitution to explicitly allow for the expropriation of land without compensation. 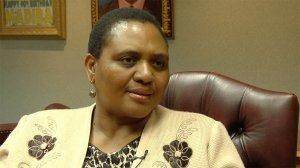 The committee met for the first time on Tuesday after it was established in December after MPs voted in favour of amending the property clause in the Constitution to allow the State to expropriate land in the public interest without compensating land owners, provided it does not harm the economy or the agricultural sector. The committee will in the coming weeks embark on a programme of action including another public participation process.